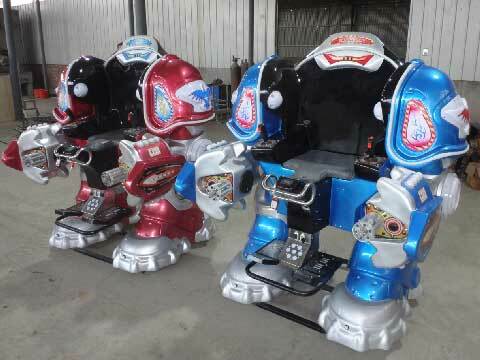 Robot ride is a new kind of amusement ride which is designed by our professional designer and manufactured by our experienced workers. It is a kind of ride which could walk and drift rotating. This robot ride is simple to operate and stable in performance. 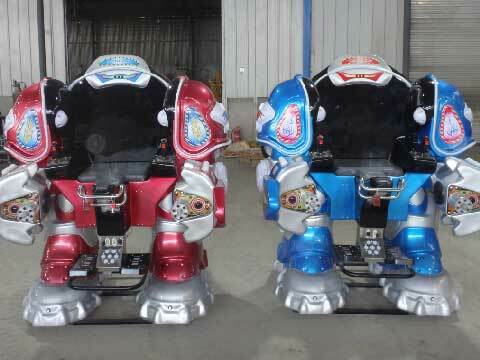 With its handsome appearance, robot ride is suitable for amusement park, funfairs, squares, shopping centers and other sites. This robot ride has little requirements on space or sites, as long as it can be placed flat on the ground, riders could have fun freely on the robot. At the same time, the robot ride is small, they are light to carry and easy to move. Beston here provide you kiddie robot rides with cheap prices, in stock models with fast delivery. If you need to buy new kiddie rides for your funfairs, amusement parks, kiddie parks, welcome to choose Beston Amusement. We also manufacture other rides like carousels, bumper cars, swing rides and etc. Welcome to choose Beston.